Laboratory Buildings - We have worked on CAT2, CAT3 and CAT 4 laboratories, vibration sensitive, temperature sensitive and radioactive shielding buildings. We basically provide the skeleton for the building and support for the cladding systems. This project involved the design of an extension for the 6th Form Centre which serves both St Gregory's and St Mark’s, the building extension had limited budget and had to be in keeping with the relatively new building. The foundations required piling due to the difficult ground conditions of an old quarry on the site. The superstructure was designed as a lightweight steel frame with composite floor to achieve the large open plan spaces and stability. The external structure used timber construction in order to match the existing building. Once restored this Grade I Listed Georgian Lido will be the world's’ first naturally treated, heated open air pool. This is on an environmentally sensitive site: next to the river and at risk of flooding. Heritage Lottery funding has assisted the progress. We have been involved in the restoration design of the existing building, swimming pool and the new plantroom and toilet facilities. More recently we have developed the principles for the construction works, involving the methodology of bringing materials in and out of the site, both from the immediate road and via the river. This is in order to avoid the congestion issues of using the roads in and out of bath centre. A replacement of an existing social club at the heart of the Widcombe community. Providing a multi-purpose venue with a distinct sense of space and airy design, with superb views across the city and canal basin. Provided superstructure design. This project required cantilever slabs supporting ICF walls, curvy beams and in situ concrete staircase. 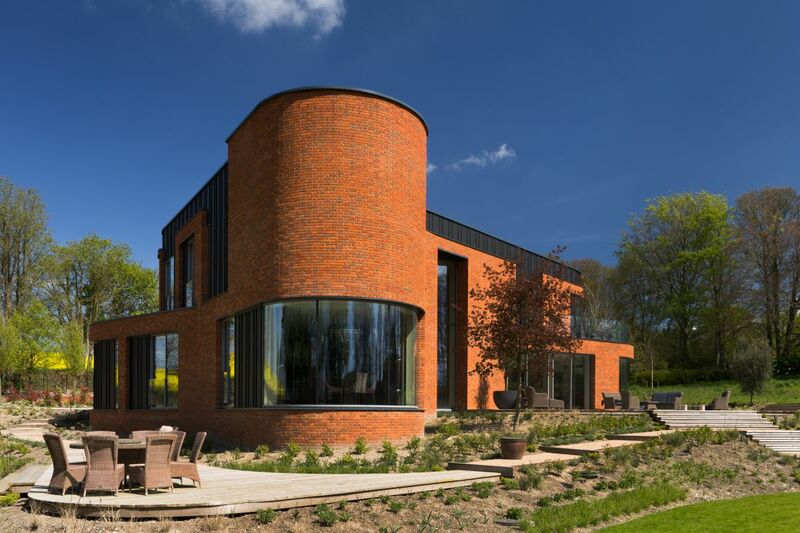 A challenging aspect to this project, the brick had to hang over the bronze cladding. The result was a truly interesting project with a stunning curvy shape.